Hotel Address: 3425 N. Atlantic Ave.
New Hotel for You! The oceanfront International Palms Resort, which is also just a short walk from “I Dream of Jeannie Lane”. Welcome to the International Palms Resort and Conference Center! 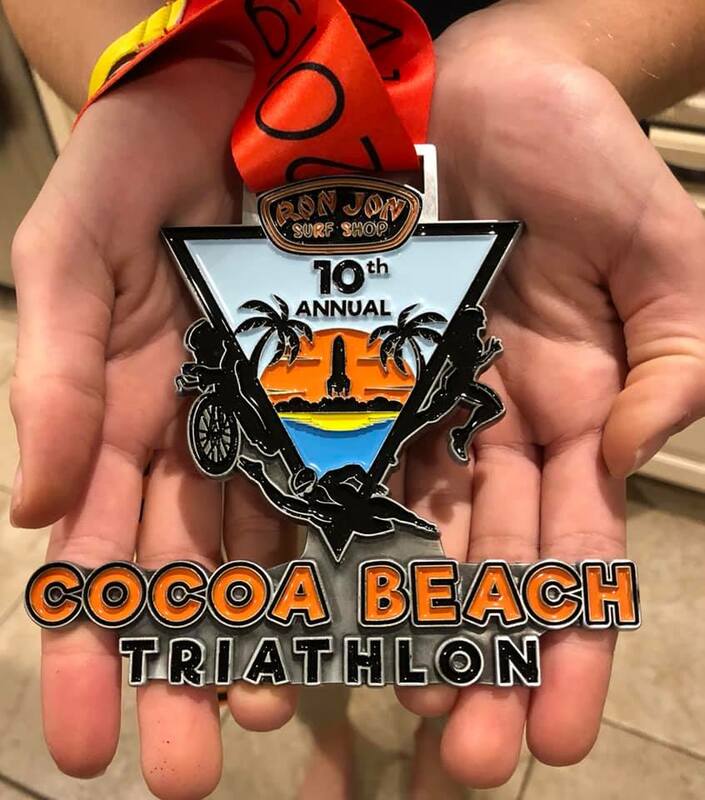 We are looking forward to accommodating the Cocoa Beach Triathlon group. We are pleased to offer a rate of $109.00 for a room with a king bed or a room with two double beds (2 nights minimum). Rate is net and does not include 12% tax. Also, our hotel has a $7.95 resort fee, which includes pool towels, beach access, equipment for basketball, volleyball, shuffle board, tennis and corn hole courts, complimentary internet and complimentary parking. Please make sure everyone in your group knows that the earlier they call in to reserve their rooms, the better. The number for our direct line to reservations is: 321-392-1647. If a rooming list is being provided, please make sure it is received prior to the cutoff date listed above.